The Link University Scholarship has been awarded to 190 undergraduates this year, all being the first in three generations of their families to study at one of Hong Kong’s universities. Since 2015, Link has donated $11.2 million for a total of 560 scholarships. 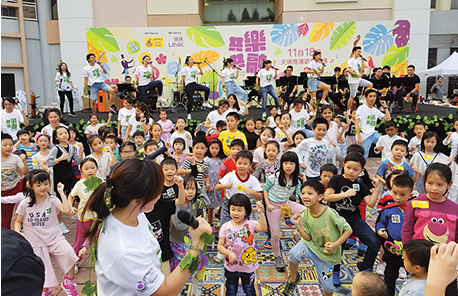 Supported by Link Together Initiatives, Music Children Foundation staged its first outdoor concert at Link’s Tin Shui Plaza’s piazza. The carnival event, which showcased 45 professional performers, drew 500 grassroots families from eight districts, who danced, cheered and had the chance to try their hand at various musical instruments. To meet the need of the elderly within our communities, and as part of the Link Together Initiatives Outreach Programme, Link has sponsored Lok Sin Tong to provide a mobile clinic service in the community. 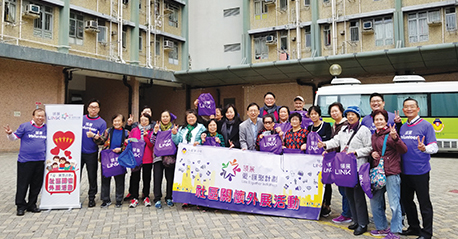 In the coming months, a medical truck will visit 16 housing estates near Link’s properties, where it will offer free Chinese medicine consultations and free medicine to seniors in need. Link’s volunteers will also be out to provide support on the service days.